Ben is a hockey nut and a recent university graduate. Like most post-uni grads he's unemployed and wants to make himself feel better by writing about something he loves. 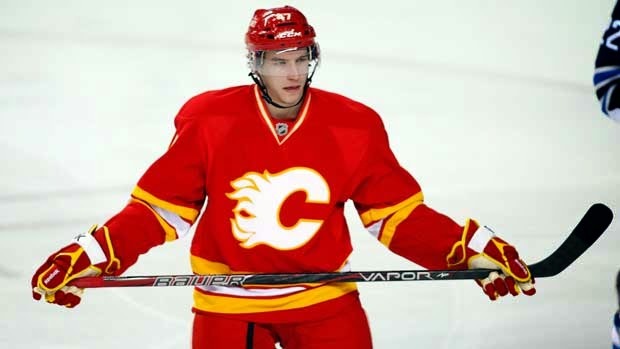 The Calgary Flames young, forward group with notable names like Sean Monahan, Johnny Gaudreau, and Sam Bennett helped bring the Flames to the second round of the playoffs before losing in five to the Anaheim Ducks. The Flames defence wasn’t bad either featuring Mark Giordano (the mid-season Norris winner), as well as T.J. Brodie, the shot block-machine Kris Russell, and Dennis Wideman. The Winnipeg Jets were able to make it to the playoffs after an incredible season for the first time since landing north of the border back in 2011. On top of their postseason berth, the Jets added to a great year with one of the best drafts in the NHL in 2015 by drafting some of the top talent that was sliding down the draft board. The Jets have really garnered a good prospect pool since coming back to Winnipeg which is shocking considering when leaving Atlanta Carl Klingberg and Arturs Kulda were some of the franchise's top prospects in the system. In what very well could have been Bryan Murray’s last draft as general manager of the Ottawa Senators it seemed like the change of guard was starting. The Senators media presence was primarily done by assistant general manager Pierre Dorion who did interviews and was seen doing trade talk on the floor. 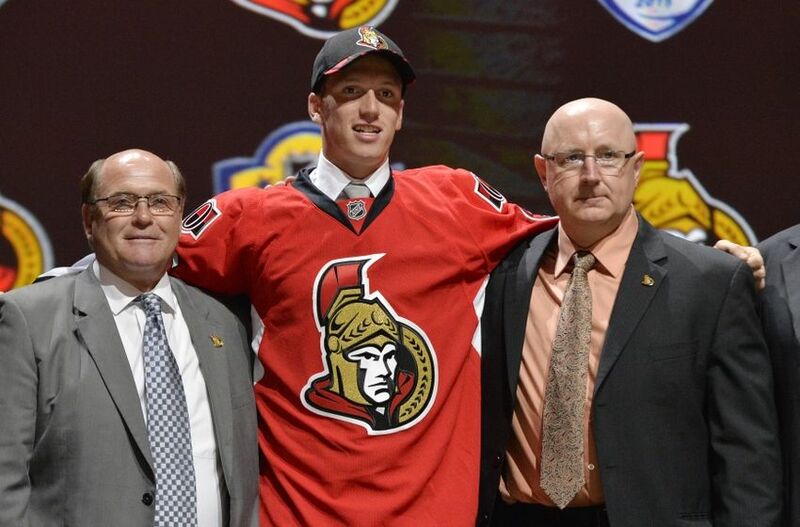 The Senators made a three trades over the weekend to go along with eight selections including doubling up selections in rounds one, two and four while making no selections in round three or six. Ben is a hockey nut and a recent university graduate. Like most post-uni grads he's unemployed and wants to make himself feel better by writing about something he loves. As always feel free to comment on his work if you agree or disagree - just be nice. 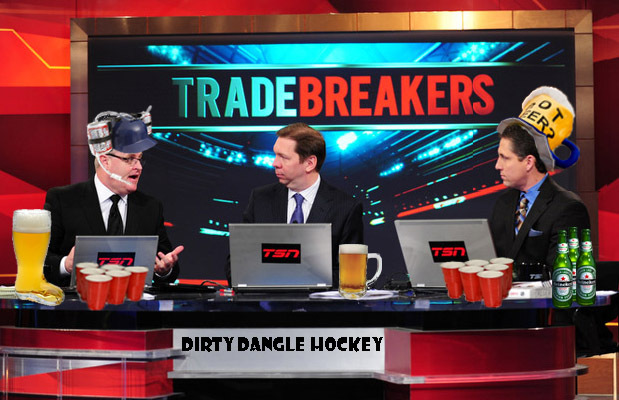 Over the past two days we saw the new era of Toronto Maple Leafs management as Kyle Dubas fielded all trade discussions and Mark Hunter led the charge up to the podium with Leafs sweaters and caps in hand. 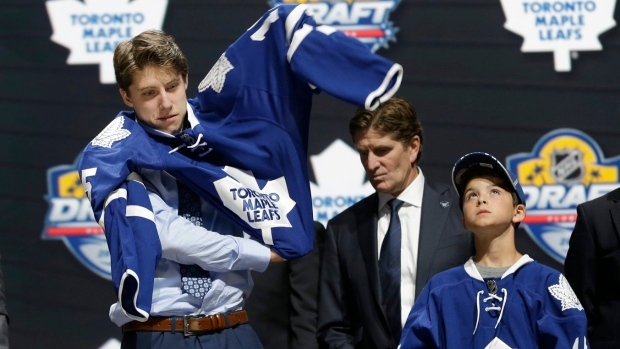 The Leafs made nine selections during the draft and completed three trades with OHL-grads Hunter and Dubas at the helm and many are praising their work over the weekend in stocking the Leafs prospect cupboard for the future. After an unexpected run that took the Flames to the second round before losing to one of the best team's this year, the Flames will be rewarded with a Top 15 pick. Merkley’s year has been full of ups and downs while he’s been on one of the best WHL teams that featured Leon Draisaitl and the winger finished the season with 20 goals and 70 apples for 90 points. 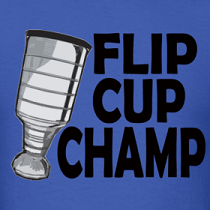 Merkley had a solid playoff run finishing 3rd in playoff scoring with 27 points as his Kelowna Rockets won the WHL Championship and made it all the way to the Memorial Cup Final before losing to the Oshawa Generals. Projection: Merkley projects out as a playmaking 2nd line C option that could allow Sam Bennett to adjust to the wing in the Flames system. Is There Room In Tampa For Jonathan Drouin? After an outstanding junior career, Jonathan Drouin, entered this season as the favourite to win the Calder Trophy as rookie of the year. Many were banking on the skilled winger to be paired up with sniper Steven Stamkos to dish saucer passes to all season long, but things didn't work out that way. 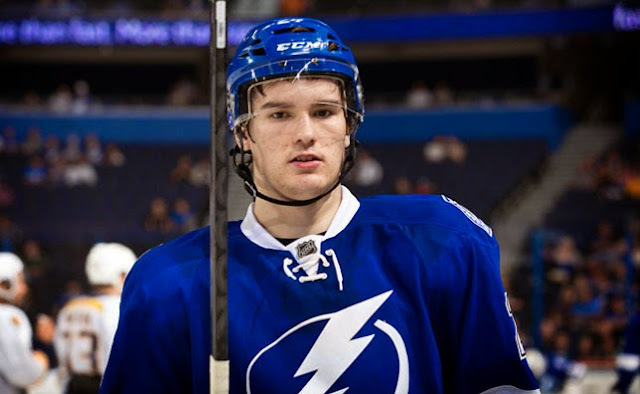 Too good for junior, unable to play in the AHL due to age restrictions, and not experienced enough for the NHL playoffs, Drouin has now found himself a healthy scratch for 12 of Tampa Bay's 15 playoff games thus far. There were a few trades today that may not have looked big on paper, but garnered a lot of chatter of what could be. They involved young players looking for fresh starts with a new organization who could potentially rejuvenate their careers with a clean slate. 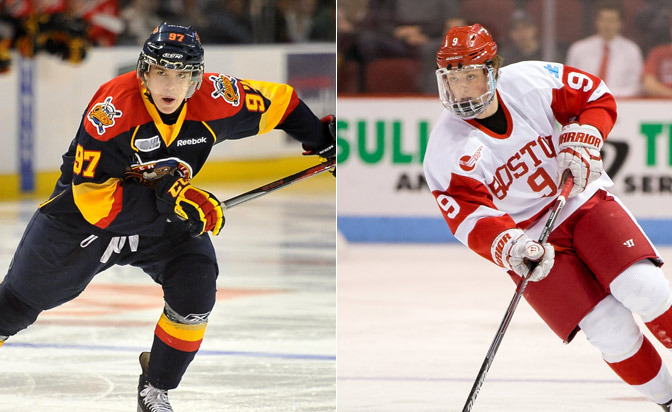 Whether they couldn't climb the depth chart or just never fit in, these young guys couldn't capitalize on their chances in the NHL and will be getting another look to prove they belong at the NHL-level. 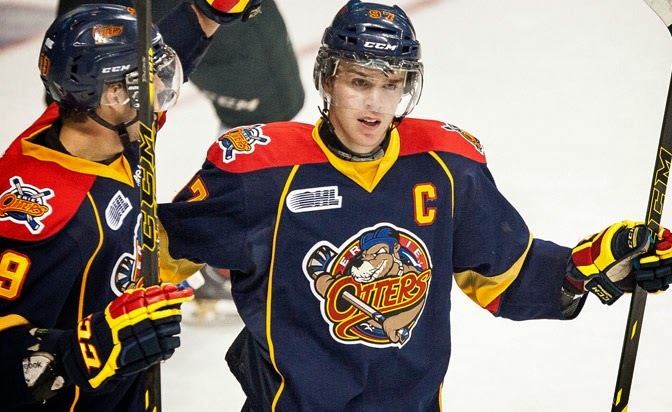 We are reminded of Brandon Pirri's situation in which he led the AHL in scoring at age 21, but couldn't jump into the Chicago Blackhawks lineup due to their depth down the middle. 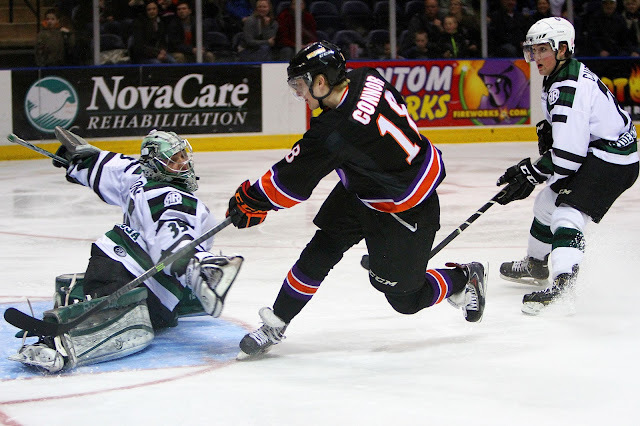 He got a change of scenery in a trade to Florida last season and has 18 goals and 27 points through 51 games played with them since the trade. It's paid off for Pirri, and it could for these young players. What's The Deal With Daily Fantasy Hockey? 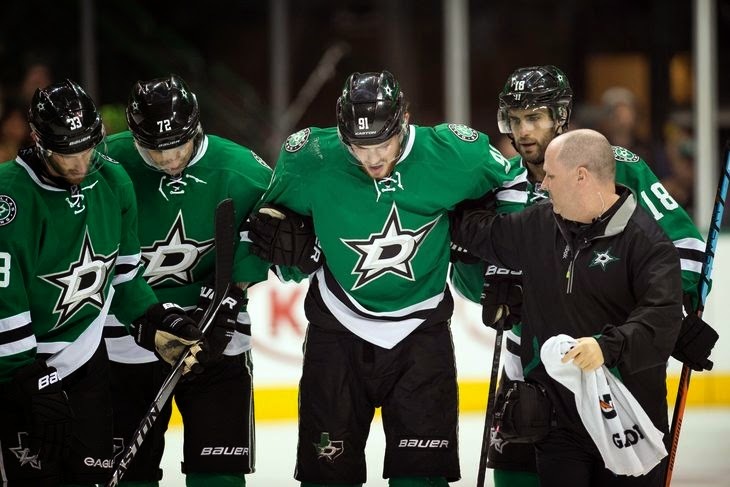 Tyler Seguin's knee injury might have derailed your fantasy season, but not if you're into daily fantasy hockey! Unless you've been living under a rock this NHL season, you've probably heard of the new fantasy fad sweeping the hockey world - daily fantasy hockey leagues. From sponsoring leagues to in-rink advertising, daily fantasy hockey is growing and offers those fantasy hockey junkies a chance to make some coin throughout the season. Different than your standard season-long leagues where friends toss in $20 each for the year, daily fantasy hockey allows you to draft a new roster every night and stay in the game the entire year. The introduction of the hard salary cap in the 2005 NHL and NHLPA Collective Bargaining Agreement brought a big change to the league with guaranteed player contracts testing the shrewdness of NHL general managers. Team's could no longer just buyout player's contracts they did not like anymore without paying for their mistakes. Teams would be on the books for a a portion of a bought out player's salary and that money would count against their salary cap for twice the length remaining on the contract. This was a good thing for league parity as rich teams could no longer just dump their poor decisions simply because they had the money to do so.